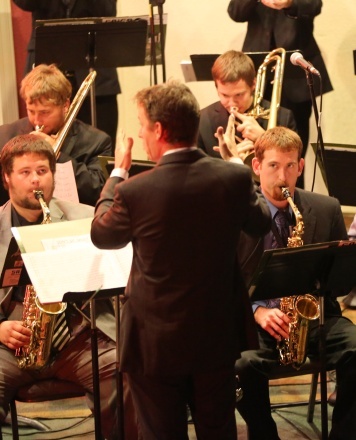 Sunday, Poole’s young instrumentalists in the NSU Jazz Ensemble will not only be seeing and hearing McQuade. They’ll also be performing with him. Or, rather, he’ll be performing with them. Poole adds that he himself will be playing on “one or two numbers,” including an arrangement of Duke Ellington’s “Take the `A’ Train” by Rob McConnell, known for his work with the Boss Brass band in the ’70s and ’80s. And three other guest players, he says, plan to be coming along with the 17-piece NSU Jazz Ensemble Sunday. 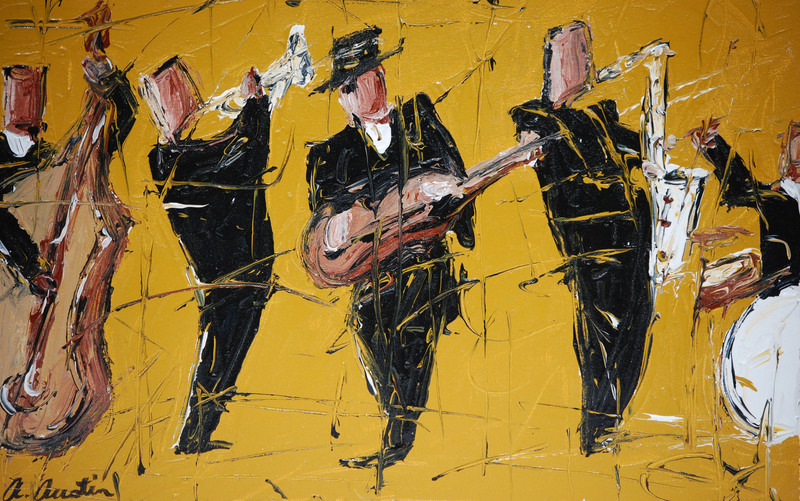 Sunday’s playlist also includes “Jive Samba,” composed by Nat Adderley, who played coronet and trumpet alongside his saxophonist brother, Cannonball Adderley, for years. Poole, who’s been in charge of the NSU Jazz Ensemble for the past five years, is exceptionally bullish on this year’s version of the big-band styled group. 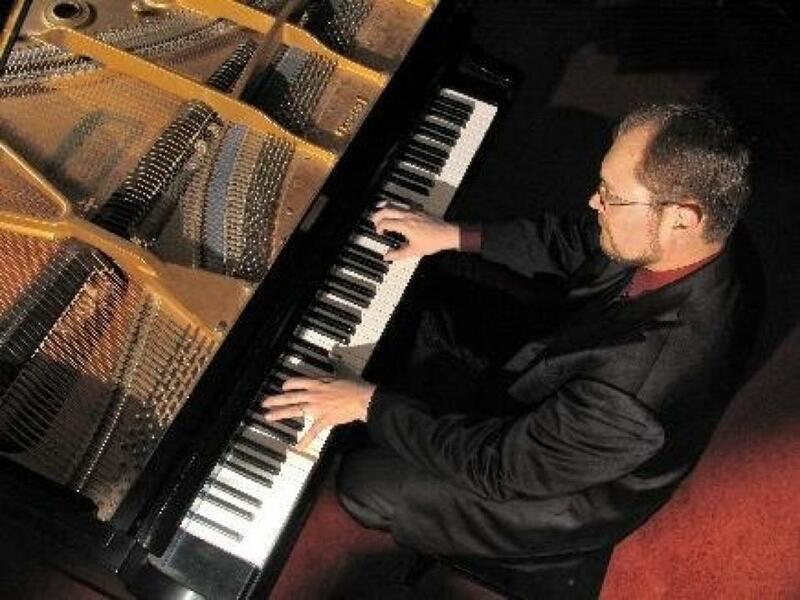 begin at 5 p.m. Sunday, April 6, at the Oklahoma Jazz Hall of Fame, located in downtown Tulsa’s Jazz Depot, 111 E. First St. Tickets can be purchased at the Depot, from www.myticketoffice.com, or by calling Bettie Downing at 918-281-8609. General admission is $15, reserved table seating $20. Seniors and Jazz Hall members are admitted for $10, and high school and junior high students for $5. Refreshments will be available for purchase. Tulsa’s Sandy Gardner started singing pop and jazz professionally some four decades ago, when she joined a Colorado Springs-based organization called the Charlie Westfall Orchestra, following a year as a student entertainer at Oklahoma State University. 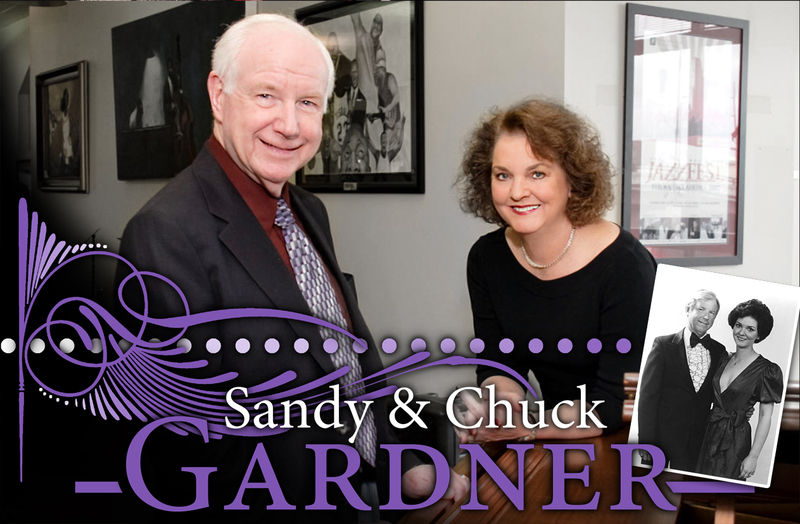 That job indirectly led to another one, singing with a trio at the USAF Academy Officers’ Club in the same city, where she met her future husband, 2013Oklahoma Jazz Hall of Famer Chuck Gardner, and the two began a life in music that continues today. It continues, in fact, on Sunday, when pianist-composer Chuck plans to sit in with his wife and the evening’s co-star, vibraphonist Jay Garrett. Playing together is hardly unusual for the Gardners. Sunday’s show, however, not only marks the first time she’s worked with Garrett, but also her first concert ever with a vibraphone player. 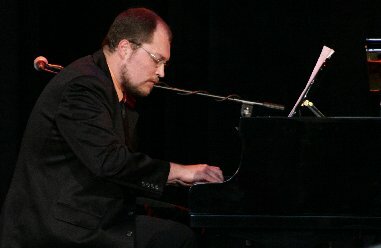 One of the ideas Garrett had was to do the famous Burt Bacharach-Hal David composition “Raindrops Keep Fallin’ on My Head” as part of a two-tune medley. Although Sandy is a bassist as well as a vocalist, she’ll leave the bass work to Jordan Hehl on Sunday. Tony Yohe – like Hehl, a familiar presence on the Jazz Depot stage – is the drummer. Chuck, says his wife, is having so much fun working with Garrett and the rest of the group that his original role in the show has expanded. Gardner, Garrett, and the group are set to begin at 5:00p.m. Sunday, Nov. 17, at the Oklahoma Jazz Hall of Fame, located in downtown Tulsa’s Jazz Depot, 111 E. First Street. Tickets can be purchased at the depot, from www.myticketoffice.com, or by calling Bettie Downing at 918-281-8609. General admission is $15, reserved table seating $20. Seniors and Jazz Hall members are admitted for $10, and high school and junior high students for $5. 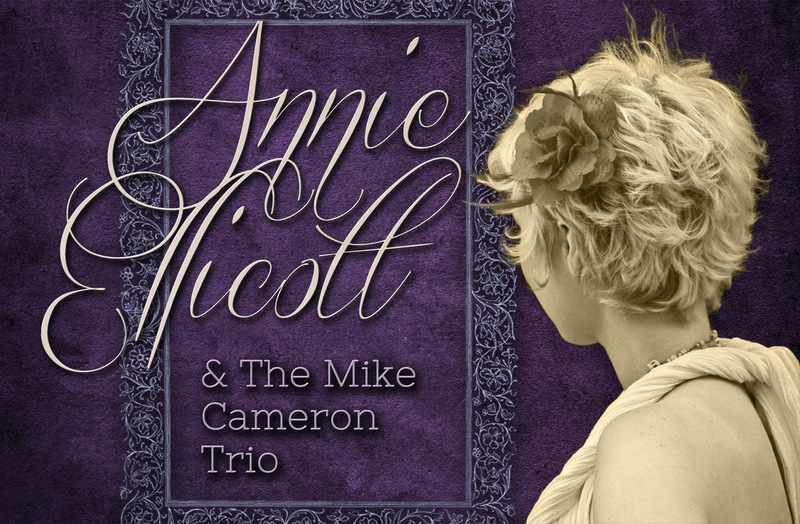 For Sunday’s Jazz Depot show, the latest offering in the Oklahoma Jazz Hall of Fame’s Summer Concert Series, high-profile vocalist Annie Ellicott is set to appear with saxophonist Mike Cameron’s trio, which features Scott McQuade on keyboards (and keyboard bass) and Jared Johnson on drums. Although this will only be the third official pairing of Ellicott with the Mike Cameron Trio, they’ve been doing a substantial amount of jamming together, making Sunday’s show a logical extension of the informal musical alliance that began several months ago. What makes working with this particular band so much fun for her? Ellicott is quick with an answer. “It’s the players,” she says. “They’re very good at playing anything. I can call any song, and Scott’ll say, `What key? '” She laughs. “And there we go. That’s fun. Of course, Ellicott, a veteran of the Tulsa jazz scene, had an idea of what to expect when she started jamming with them in the first place. No stranger to the Jazz Depot, Cameron produced a show there last fall celebrating the 100th anniversary of the birth of Oklahoma-born saxophone great Don Byas as well as one in February saluting Patti Page. 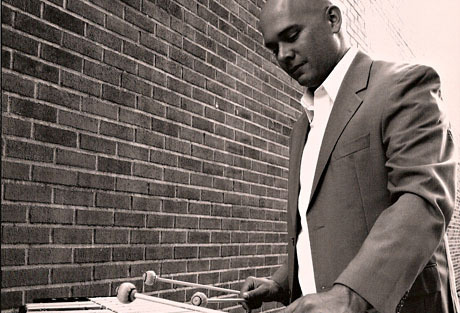 In April, he was the featured artist in the Oklahoma Jazz Hall of Fame’s Jazz Composer Series. McQuade has been a major presence at the Depot almost since his arrival in town. And Ellicott has been seen and heard there over the past few months with, among others, fiddler Shelby Eicher and guitarist Mark Bruner, vibraphonist Jay Garrett and his Vibra Hawks, and in the adventurous jazz re-imagining of Pink Floyd’s classic rock LP Dark Side of the Moon. Asked if the show will carry a distinctly French flavor, Ellicott laughs. The Mike Cameron Trio featuring Annie Ellicott is set to begin at 5:00 p.m. Sunday, August 18, at the Oklahoma Jazz Hall of Fame, located in downtown Tulsa’s Jazz Depot, 111 E. First Street. Tickets can be purchased at the depot, fromwww.myticketoffice.com, or by calling Bettie Downing at 918-281-8609. General admission is $15, reserved table seating $20. Seniors and Jazz Hall members are admitted for $10, and high school and junior high students for $5. 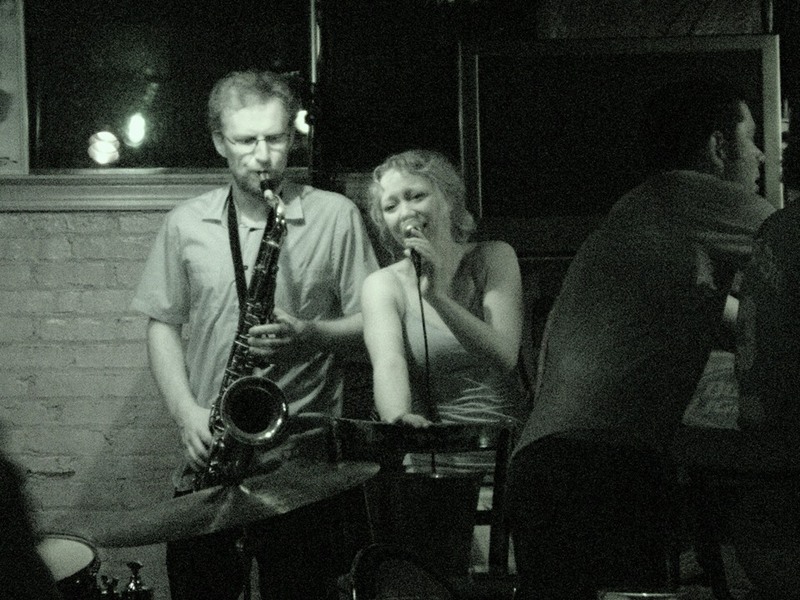 The show is a part of the Jazz Hall’s Summer Concert Series. Sandy Gardner and Pam Van Dyke Crosby at the Oklahoma Jazz Hall of Fame! One had a musical mom, one didn’t. But both Sandy Gardner and Pam Van Dyke Crosby are quick to acknowledge the positive effects that their mothers had on their careers and their lives in general. 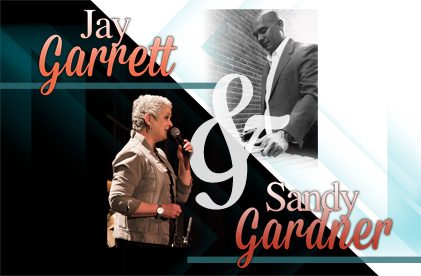 According to Pam, the two well-known vocalists will be “singing songs for our moms, for all moms, to celebrate moms,’ in this Sunday’s special Mother’s Day event at the Jazz Depot. “My mother couldn’t carry a tune in a bucket, and she’d be the first to tell you that,” adds Sandy with a laugh. “But she was a typical mother — `you can do anything, you can be anything’ – and an amazing role model. She’d been a stay-at-home mom, but then she became a single parent with four children, ages 11 to one, and had to go back to work. “She went to work in the accounting department at Skelly Oil Company [in Tulsa], and in ’64 or ’65, Skelly offered certain employees the opportunity to take a computer-programming course, to teach them how to use this new thing called the computer. My mother was the only woman who signed up; the rest were men. And the men were all able to spend part of their workdays studying for this thing. Not my mother. She had to do her regular job. Later, when Sandy and her pianist-arranger husband, Chuck Gardner, began performing together, Kalita, her mother, “was always front-row center” when the Gardners performed in her vicinity. In addition to doing tunes that their own moms loved hearing, Pam says that the two plan to sing some numbers that are favorites of Jazz Depot moms-including Duke Ellington’s “Caravan,’ which is tops with Jeanine Rhea, a tireless volunteer for the Oklahoma Jazz Hall of Fame. They’ll be accompanied on the show by Chuck Gardner on piano, Bill Crosby on bass, and Wade Robertson on drums, and in addition to their solo numbers, they plan on sprinkling in a few duets. The pair will combine their voices on other tunes, too, but Sandy’s cagey about the details. Sandy Gardner and Pam Van Dyke Crosby’s Mother’s Day concert is set to begin at 5p.m. Sunday, May 12, at the Oklahoma Jazz Hall of Fame, located in downtown Tulsa’s Jazz Depot, 111 E. First St. Tickets can be purchased at the depot, from www.myticketoffice.com, or by calling Bettie Downing at 918-281-1008. General admission is $15, reserved table seating $20. Seniors and Jazz Hall members are admitted for $10, and high school and junior high students for $5.